Need an HEVC/H.265 Hardware Decoder? • Decode & encode HEVC/H265 (4K) video with hardware acceleration. • Convert MKV, HEVC, M2TS, AVCHD, MP4, AVI, MPEG, H.264, MOV, etc. • Edit/cut/merge/crop video, etc. Convert DVD. Download videos/music. 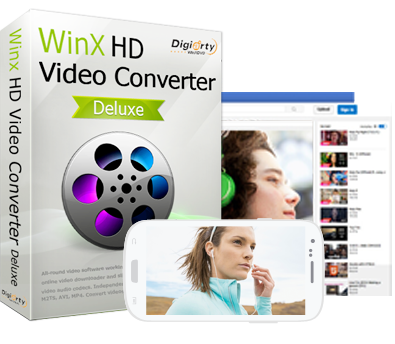 Free download best video converter, editor, downloader, recorder! 2019 fastest HEVC/H.265 hardware decoder and encoder for H.265/HEVC transcoding on Windows (10) and Mac. HEVC/H.265 hardware decoding and encoding can be easily achieved with highest efficiency by using the best fastest HEVC decoder & encoder - VideoProc – the No.1 fast video trancoding software for Windows 10/8/7. With the support of Intel QSV, Nvidia NVENC/CUDA, AMD hardware acceleration, converting 4K HEVC MKV to 4K HEVC MP4, namely, without changing the codec, can be as fast as in the blink of an eye, in the meantime, without losing quality. Use it to decode and encode HEVC/H.265 or H.264 video at ultrafast speed. HEVC/H.265, the successor to AVC/H.264, would be the next great video codec. Compared to AVC (H.264) compression, HEVC is two times efficient in video compression. HEVC saves half the bandwidth in video streaming and maintains the same video quality only at half the bit rate and size of H.264. The popular programs and devices that support HEVC decoding & encoding incl. VideoProc, Apple iOS 12/11, macOS Mojave/High Sierra, Gopro Hero7/6 Black action camera, etc. The latest released Intel 8th generation Core CPUs (Coffee Lake) desktop products and Nvidia GeForce GTX 1070 Ti (GP104) also update their HEVC/H.265 hardware decoder support. Software that can play HEVC encoded files on Windows 10 incl. 5KPlayer, VLC, Kodi, Plex Media Player. 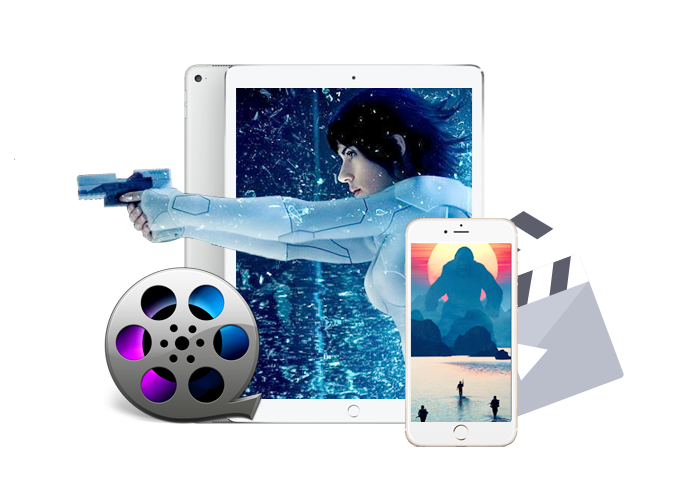 For macOS, 5KPlayer or VLC is your best bet. For iOS system, VLC is the choice. For Android users, MX player or Plex app may support HEVC playback. Up to now, HEVC is not that popular yet and is not ready for many prime devices, therefore, you may sometimes want to decode H.265/HEVC and encode to the mainstream H.264, MP4, etc. Decoding and encoding H.265/HEVC is more complex and difficult than H.264 and requires much computer power. Nowadays many 4K videos are frequently encoded to H.265. However, most systems might choke on decoding a 4K HEVC video or can't output original 4K quality. With hardware acceleration supported in the system, HEVC/H.265 decoding and encoding will be much faster. Currently 2 popular technologies with H.265/HEVC hardware decoding/encoding capabilities are Nvidia NVENC and Intel Quick Sync. This post introduces a popular video converter for Windows (10) and Mac which offers smoothest and fastest HEVC/H.265 decoding and encoding by supporting Intel QSV and Nvidia NVENC hardware acceleration. VideoProc is the best fastest hardware-accelerated HEVC/H.265 decoder & encoder program. Its built-in hardware encoder mechanism can fully utilize computer Intel QSV and Nvidia NVENC hardware acceleration technologies to deliver highest performance in HEVC/H.265 video decoding & encoding. It perfectly supports hardware decoding and encoding 4K HEVC with original quality at amazingly fast speed. The whole process is smooth and stable enough. Converting HEVC MKV to HEVC MP4 format is even faster, as a blink of an eye. 1. Convert any 8K/4K, 1080p/720p HD, SD video incl. MKV, HEVC, M2TS, AVCHD, MOD, HD camcorder videos, Blu-ray videos, and standard MP4, AVI, MPEG, H.264, WMV, MOV, VOB, FLV, etc. from one format to another. 2. Free download 8K/4K/1080p/720p videos, movies, music videos, TV shows, etc. in MP4/3GP/FLV/WebM and free download MP3 songs from YouTube, Dailymotion, Vimeo, Vevo, SoundCloud and 1000+ sites. 3. Built in 370+ output video audio codecs and 420+ preset device profiles incl. iPhone XS for your choice. 4. Edit, cut, trim, merge, crop, split, rotate, stabilize, denoise video, etc. Add effects/subtitle/watermark to videos with ease. 5. Convert any DVD (incl. 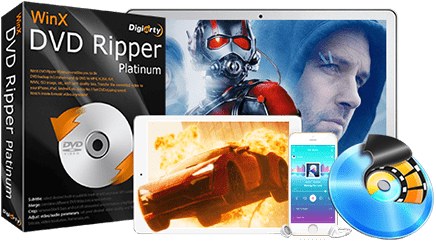 protected DVDs) to MP4, H.264, HEVC, MKV, MOV, FLV, iPhone XS, iPad, Android, etc. 6. Record computer/iOS screen. Record webcam video. Record screen and webcam together. Support green screen key. 7. Extremely intuitive interface and easy-to-use. 100% clean and safe, without any ads, malware or virus at all. Free download and install VideoProc on Windows 10/8/7, etc. and follow the 3 steps below to smoothly decode HEVC/H.265 video and encode to preferred format with highest quality. 4K HEVC video decoding & encoding can be also smooth and fast enough with the support of QSV, NVENC and AMD hardware acceleration. Below take decoding HEVC/H.265 and encoding to H.264/MP4 as example. Launch this hardware-accelerated HEVC/H.265 decoder and click Video on the main UI. Then click +Video button to load the source HEVC video. Select one preferred output format like MP4 H.264 from the Output Profile column. Or click Target Format button to check other hundreds of output formats. Optionally click Codec Option to adjust video codec, resolution, frame rate, bit rate, etc. based on your needs. Click the edit buttons to cut, crop, rotate video, or add effect or external SRT subtitles to video, etc. You can also click Toolbox button for more video editing options. Tip: This Intel/Nvidia HEVC/H.265 hardware decoder allows you to convert HEVC MKV to HEVC MP4 with original quality in a flash. Then tick Nvidia/Intel/AMD Hardware Acceleration Engine (depend on your computer hardware equipments). 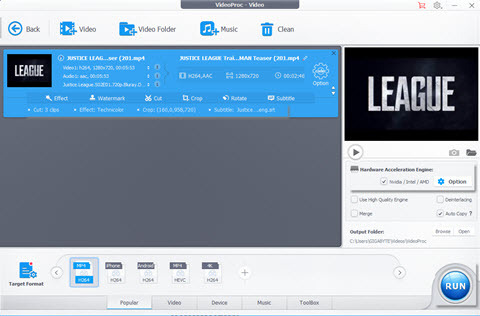 Click Browse to set a destination folder to store the new encoded video. Hit RUN to start the HEVC/H.265 decoding process and encoding into preferred output video file like H.264/MP4 at lightning speed with hardware acceleration. This top HEVC hardware decoder - VideoProc - supports Intel QSV, Nvidia NVENC and AMD hardware acceleration for H.264 and H.265 video transcoding, so it can deliver ultrafast speed in (4K) HEVC/H.265 decoding and H.264 encoding. The whole process is smooth and stable. • Convert videos for playing on iPhone, iPad, Android, etc. This post introduces a simple and fast HEVC/H.265 encoder supporting NVIDIA NVENC/CUDA to accelerate any video to HEVC/H.265 encoding speed. Get idea on how to enable Nvidia CUDA HEVC encoder and decoder with VideoProc to accelerate HEVC video conversions on Windows (10) PC. In addition to introducing HEVC, HEVC hardware encoder, this article also brings in the best H.265 encoder that utilizes Nvidia NVENC and Intel QSV hardware encoding for H.265. 3 steps to easily convert x265 (HEVC/H.265) 4K/HD MKV video to MP4 (H.264/MPEG) (more compatible) with best HEVC/H.265 to MP4 converter, VideoProc, by keeping original quality.